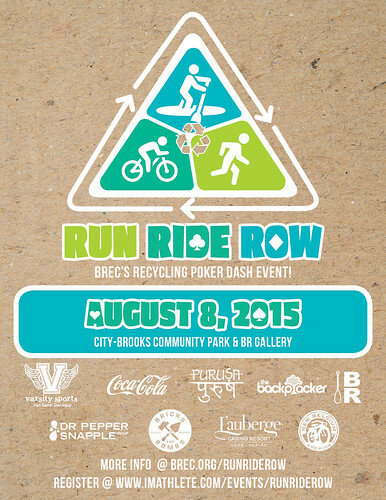 Join us as we celebrate recycling bins at City-Brooks Community Park and Baton Rouge Beach! Early Registration ends Monday, Aug 4th at midnight. We are offering 2 events! Try your hand at a solo triathlon where you must run, bicycle and paddle your way to the finish or pair up with a teammate for a fun run and ride where you can switch off bicycling and running with your partner. Don’t forget to stop at our new recycling bin locations and pick up your playing card, the best hand wins! Prizes will be awarded to the top 3 finishers in each category plus the best poker hand for the Triathlon and the Run and Ride. Registration gets you a t-shirt and free entry into our trash bash after party. Boats and life-vests for the triathlon will be provided (first come first serve for vessel type; kayaks and paddle boards available) you must bring your own bicycle for both events. Not an athlete but still want to celebrate recycling? Pay $5 at the door of the gallery starting at 9:00 am to join the party! 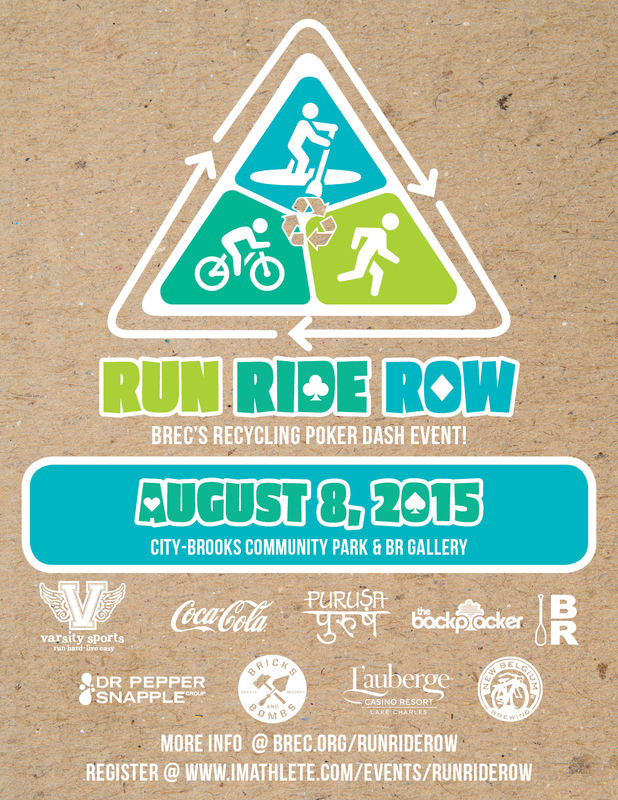 Registration begins at 7am at the BR Gallery, first race begins at 8:15am. Morning yoga sessions will be offered by Purusa before and after the races. Relax after the race with a New Belgium beer courtesy of Mockler, great live music from Daniel Patterson and an Acro Yoga presentation with Lauren and Lee from Purusa! Feeling confident? You can even try out Acro yoga yourself with help from instructors after the demo! 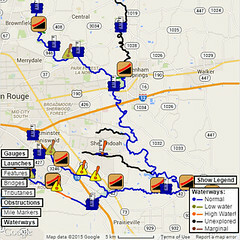 Visit www.brec.org/runriderow for more information. Early registration is $15 for triathlon and $25 for Run & Ride team and guarantees you a t-shirt. Day of registration will be $25 for the Triathlon and $35 for Run & Ride team. Recycling bins were provided by a grant through the Dr. Pepper Snapple Group and Keep Louisiana Beautiful Bin grant.